We're going to Japan again! 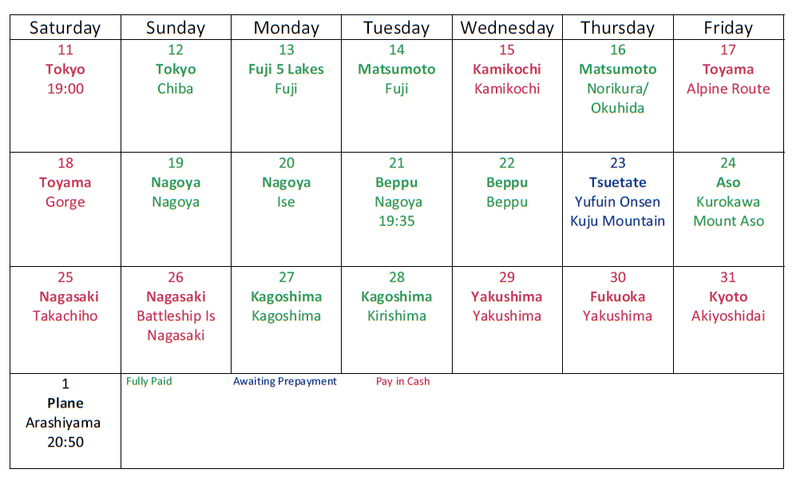 This time it's during late spring and we'll be visiting the Japanese Alps as well as Kyushu. Here's a map of our plan! 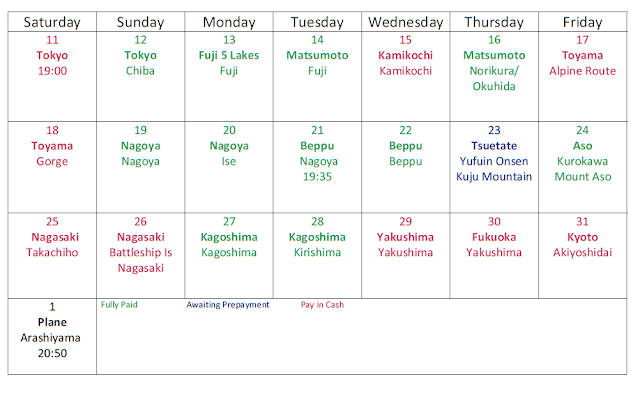 And here's a day by day calendar! !